World Cup Fever is hot and sizzling as the tournament has progress to the Round of 16 and fans continue to support their teams in the mega event. A little superstition always adds to the hype before any game. While people turned to animals like Octopus or Camel to predict the winners, we now have a new future gazer, its Microsoft’s Cortana. Microsoft’s Voice Assistant that came with Windows Phone 8.1 has started predicting results of Fifa World Cup Round of 16 Matches and till now, its prediction have been 100 % Correct. 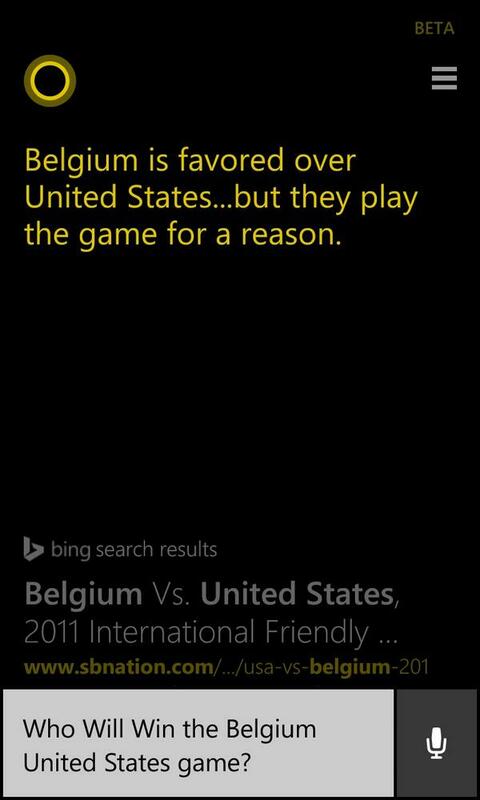 For the Upcoming games, Cortana predicts a Win for Germany and France (which is more then likely) and a win for Belgium over the United States despite an average group stage performance of Belgium.